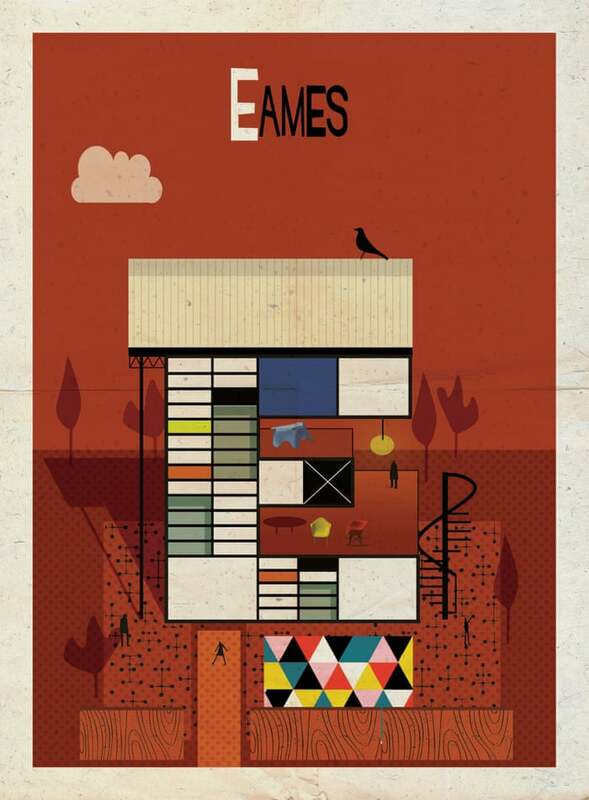 Archibet postcards by Federico Babina – Life moves pretty fast. 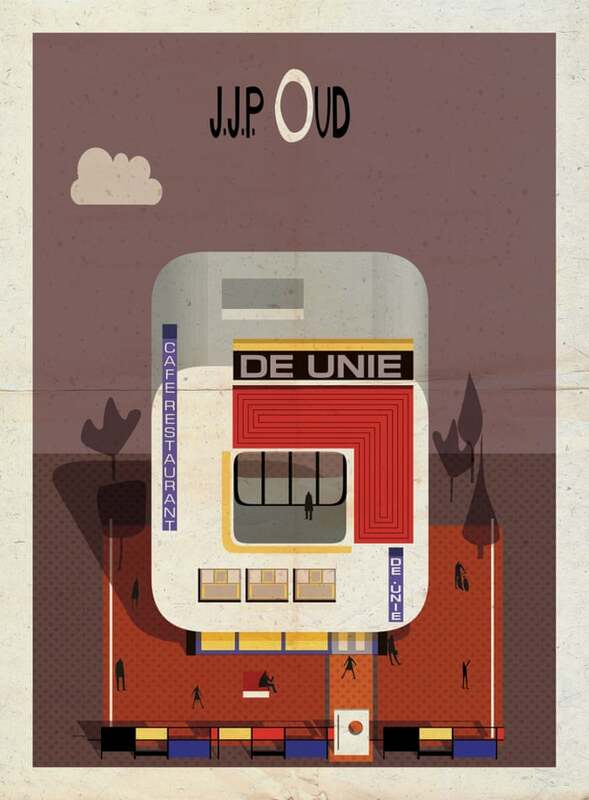 Archibet is a book of 26 postcards by Federico Babina. 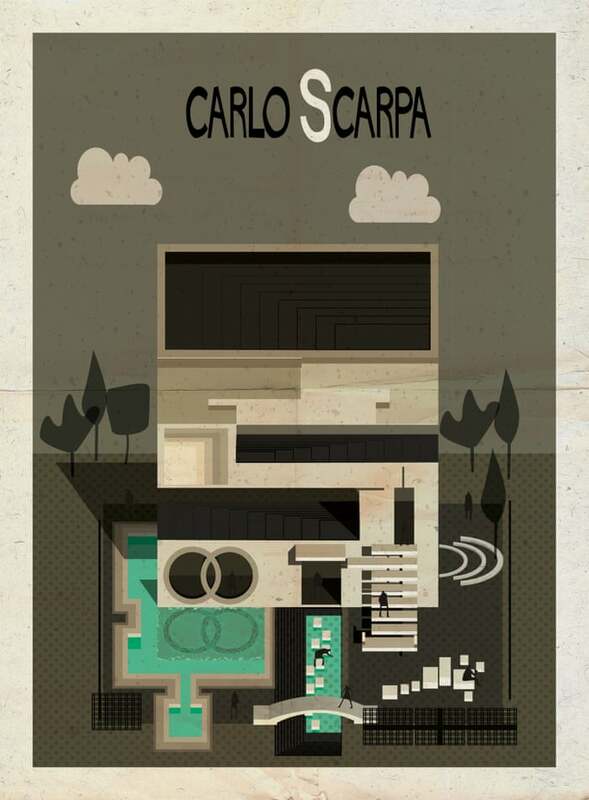 It runs from Aalto to Zaha, by way of big names such as Gropius and Foster, and slightly more recherché ones such as Adalberto Libera, author of the wonderful 1930s Casa Malaparte in Capri. Also Quincy Jones, not to be confused with the musician and producer of the same name, purveyor of stylish California modernism to the rich and famous. 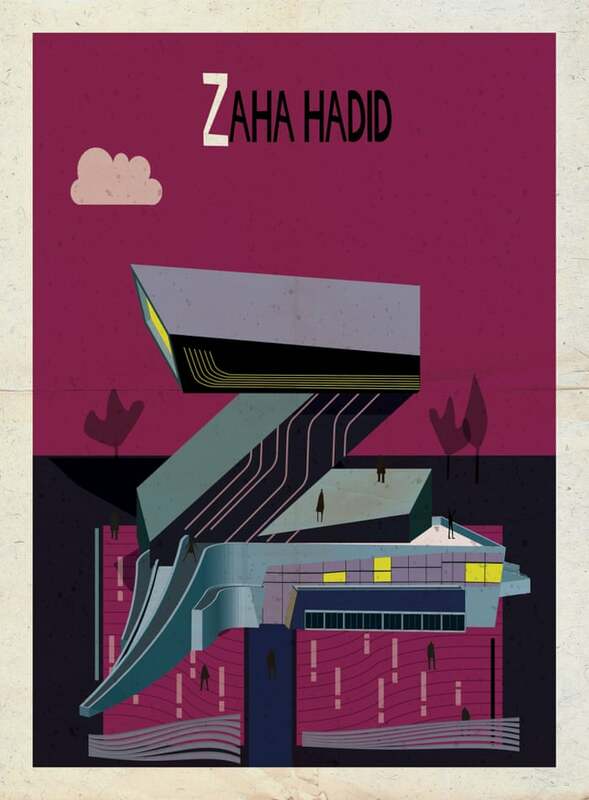 The first letter of each name is made into a little monument – a “small surrealistic building”, as Babina calls them – in the manner of the relevant architect, the P of Renzo Piano, for example, being held up by the cross-bracing of his Pompidou Centre. Sometimes the shape of letter and the architect’s style don’t match. 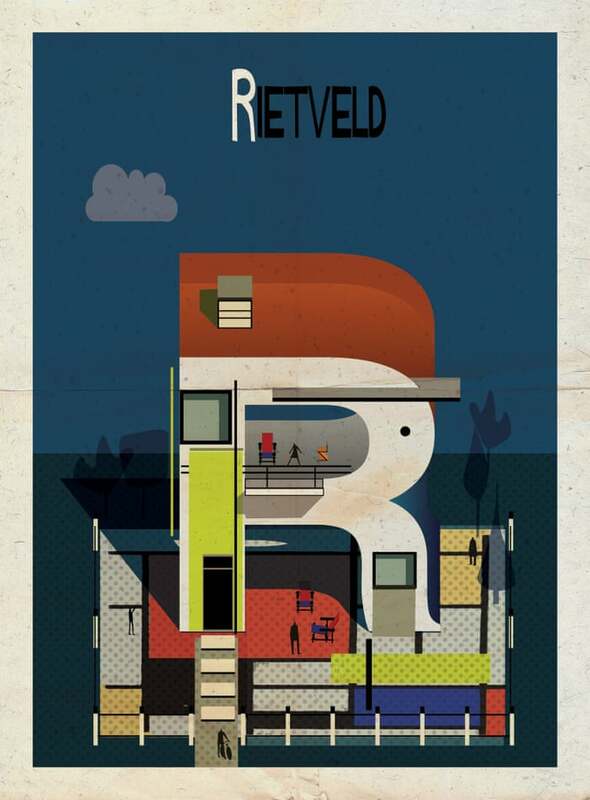 The Dutch modernist Gerrit Rietveld is given a full-curved R, although he rarely deviated from straight lines and right angles. 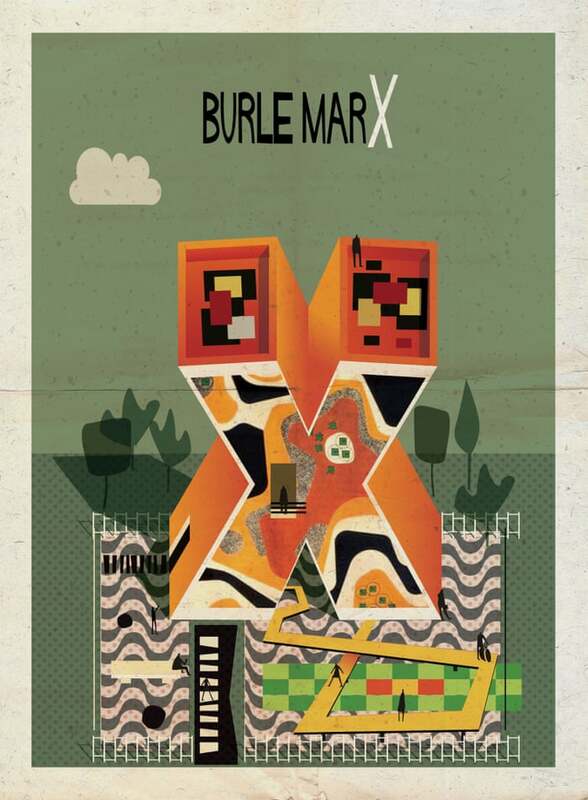 Babina is Italian, lives in Barcelona, trained and practised as an architect, but also works with graphic design. 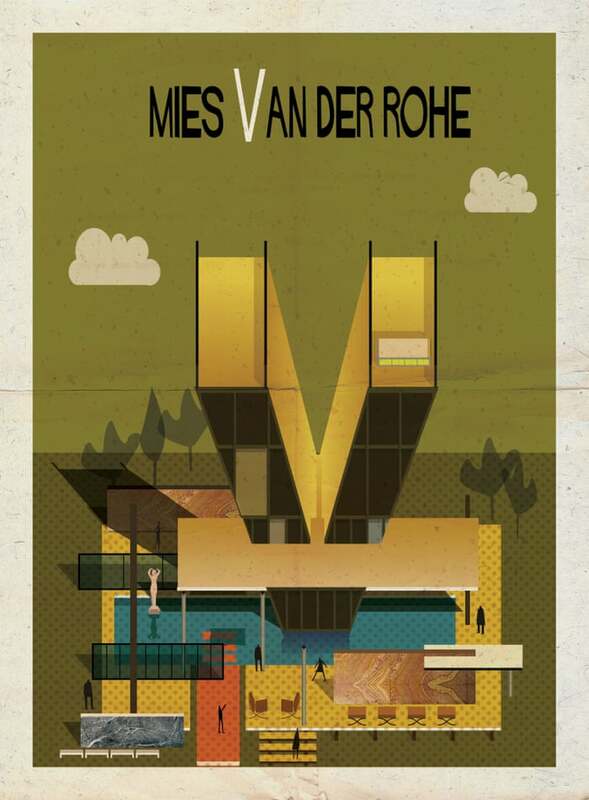 Over the past 18 months, he has started publishing his architectural fantasias, in which three-dimensional structures are transposed to flat surfaces, realised with solid blocks of strong but subtle colour, and a wry knowingness about his subjects. Read the rest of the article or better still buy the postcards here.